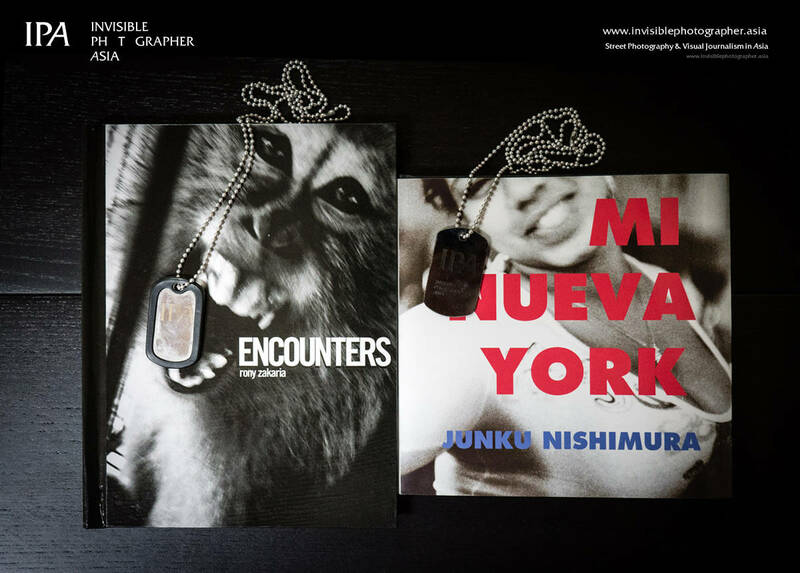 Mi Nueva York, by Junku Nishimura and Encounters, by Rony Zakaria. We’re giving away a copy each along with an IPA SUNNY 16 Dog Tag. Share your best black & white street photograph on your blog or webpage, along with a caption/text on which photo book you want. Include a link back to this post. If you’re sharing on your Facebook page, make sure it’s privacy setting is set to Public. Finally, post a link to your photograph in the comments below. That’s it! We’ll pick 2 winners by the end of next week. Ok, GO! Reminder Again: If you’re sharing from FACEBOOK, make sure your privacy setting is set to PUBLIC otherwise we won’t be able to see your picture. ENTRIES NOW CLOSED. Winners will be picked shortly. Thanks Everyone. Mi Nueva York by Junku Nishimura. Junku nishimura mi Nueva York.. please please please!! Mi Nuerva York please (already own Encounters). The link back to this page is definitely there on the post, but you may need to hover due to my tumblr theme. , by Rony Zakaria struck me today. Title of the book of my comment is gone by my mistake.